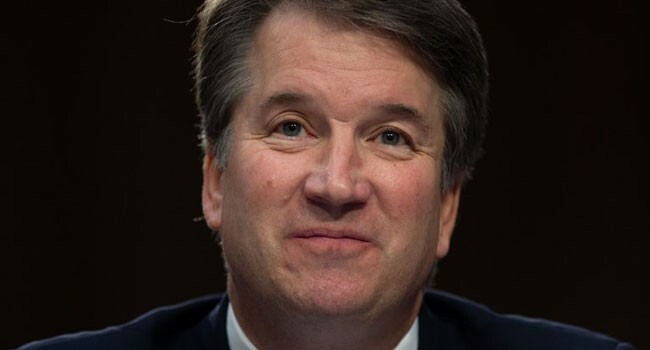 The United States Senate confirmed President Donald Trump’s Supreme Court pick Brett Kavanaugh on Saturday in the closest of such vote in more than a century, amid controversy over sexual abuse allegations against him. The Senate voted 50-48 to approve Kavanaugh as more than 1,000 protesters rallied in Washington against a nominee who had to overcome questions over his candor, partisan rhetoric and lifestyle as a young man. The monthslong battle over the nomination has roiled American passions — the vote was disrupted on several occasions by angry protests in the gallery — but handed Trump one of the biggest victories of his presidency. The two-vote margin of victory made it the closest confirmation vote since 1881, when Stanley Matthews, President James Garfield’s pick, sealed a 24 to 23 win. Just hours before the vote, scores of protesters broke through barricades and staged a raucous sit-in protest on the US Capitol steps, just feet away from the imposing doors to the Rotunda. His promotion to the Supreme Court also stands as a demoralizing defeat for Democrats who had battled hard to block the 53-year-old judge at all costs. But Senator Ed Markey insisted ahead of the confirmation that it would only galvanize Democrats to deliver a “devastating” blow to Republicans at the ballot box. “The Democrats are going to pivot to the election, and we’re going to turn this nomination into a referendum on whether or not Donald Trump can be trusted to name federal judges or to continue to control an absolute monopoly on creating public policy in the United States,” Markey told reporters. Kavanaugh’s confirmation as a replacement for retiring justice Anthony Kennedy was controversial from the start — but the initial focus was solely on the conservative views held by the married father of two. While many senators said they were satisfied with the FBI probe, her lawyers called the investigation insufficient. “An FBI investigation that did not include interviews of Dr Ford and Judge Kavanaugh is not a meaningful investigation in any sense of the word,” they said in a statement quoted in US media. Collins — a moderate Republican from Maine — said Kavanaugh was entitled to the “presumption of innocence” as the allegations against him were not substantiated with corroborating evidence. There were loud protests, both in Washington and in other cities across the United States as the vote went ahead. Hundreds were arrested on Capitol Hill this week — including several dozen in the hours leading to the final vote. Authorities took the rare step of putting up low metal fences around the Capitol, keeping the public some distance from the building. But protesters overran the barricades and defiantly claimed the Capitol steps. Trump tweeted that the demonstrators included female Kavanaugh supporters who were “gathering all over Capitol Hill.” But they were not immediately visible in the area around the legislature. The president claimed on Friday that billionaire financier George Soros, a Democratic funder and frequent target of conservatives, was behind the demonstrations against his nominee.